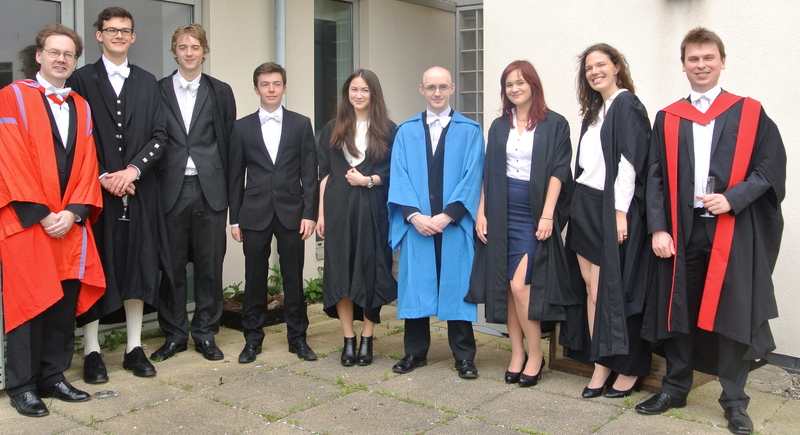 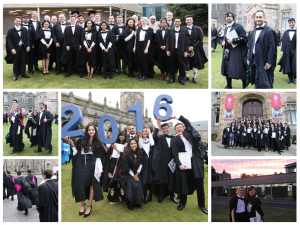 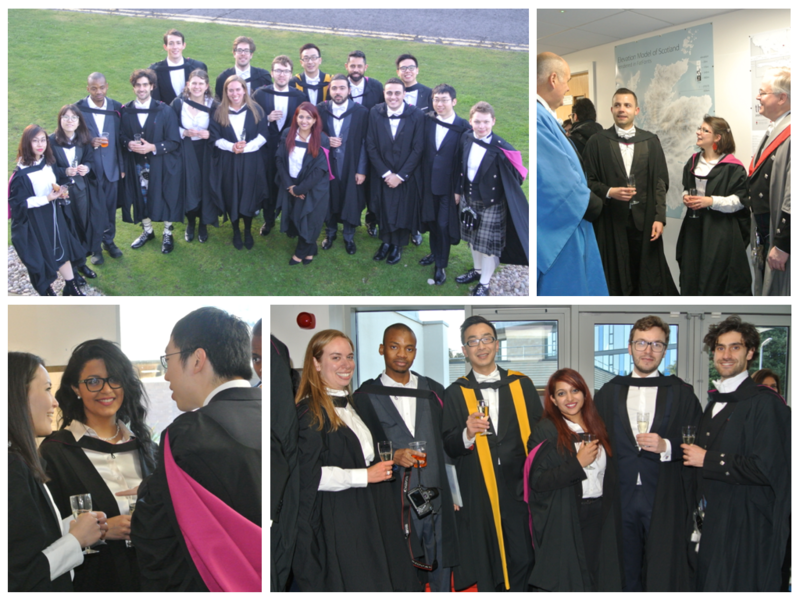 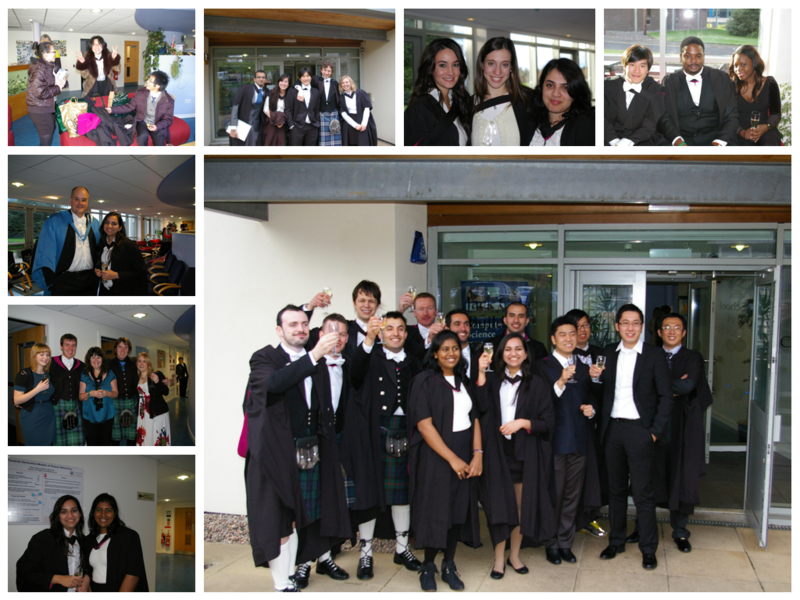 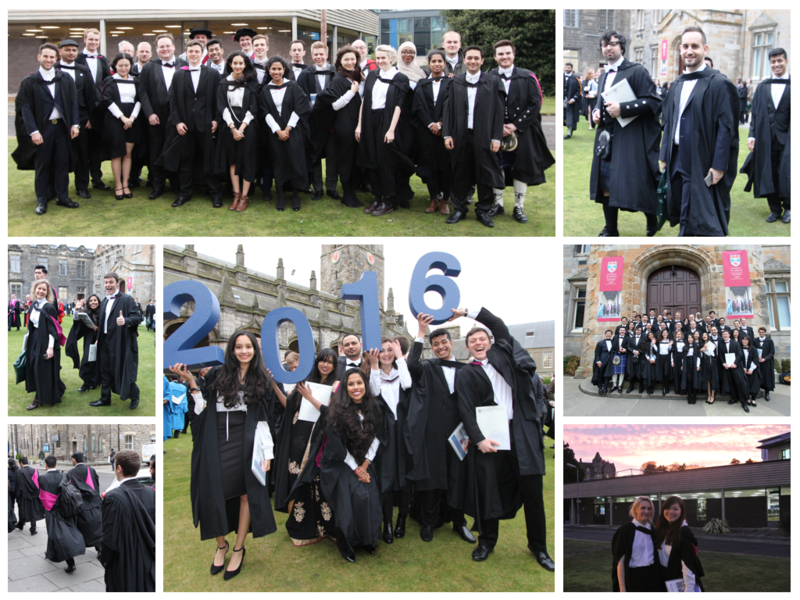 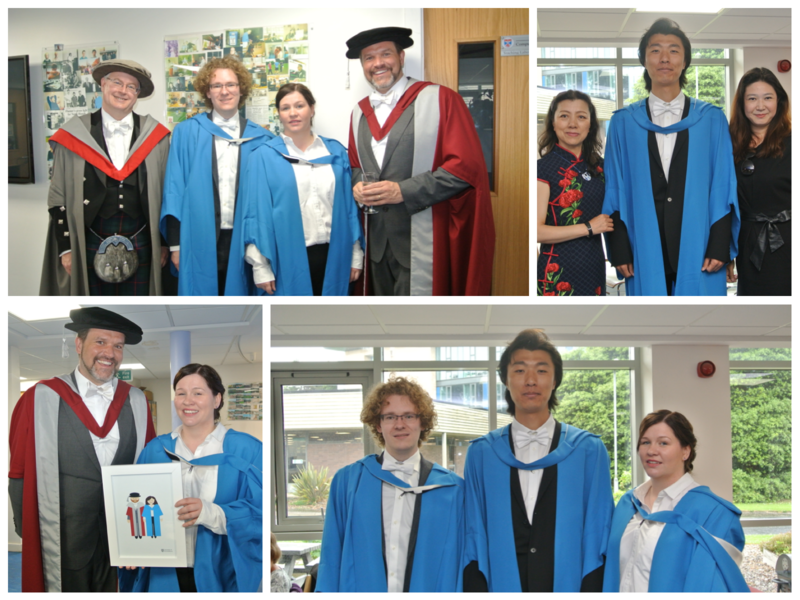 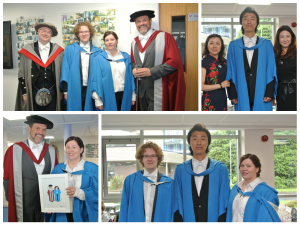 Congratulations to the Masters Class of 2017, and MPhil student Yunjia Wang, who graduated last week. 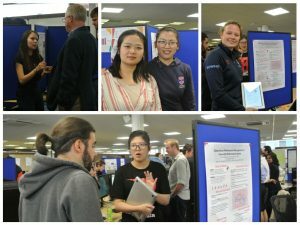 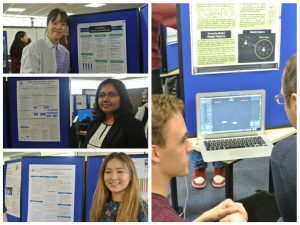 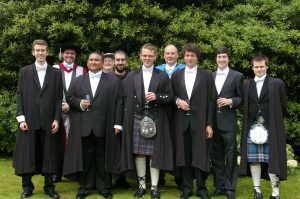 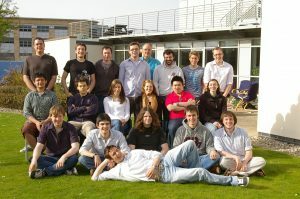 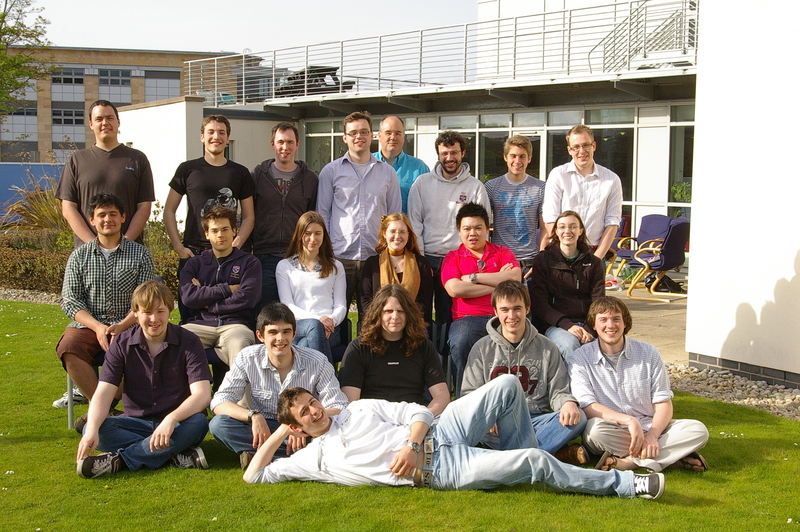 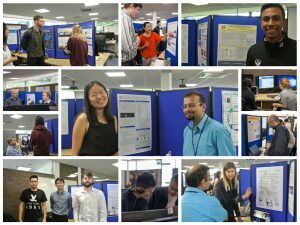 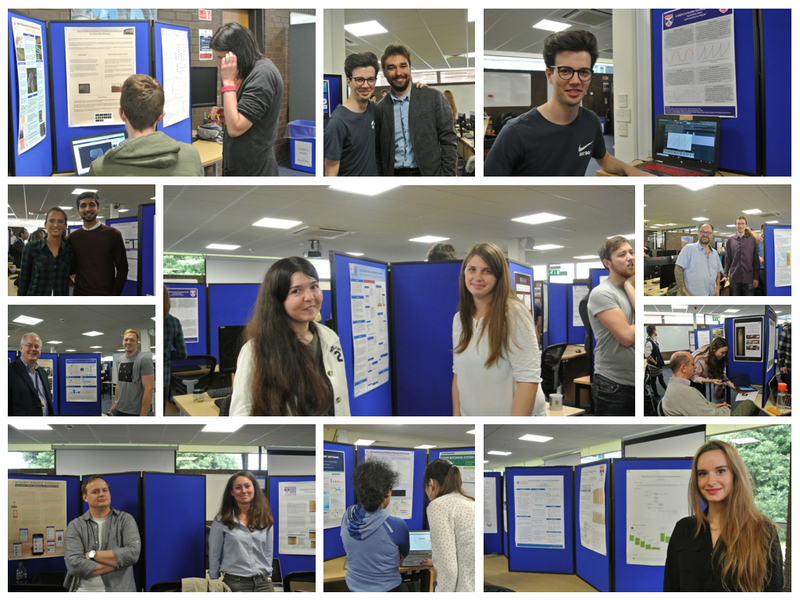 Each year, students are invited to a reception in Computer Science, to celebrate their achievement and reflect on their time in the School. 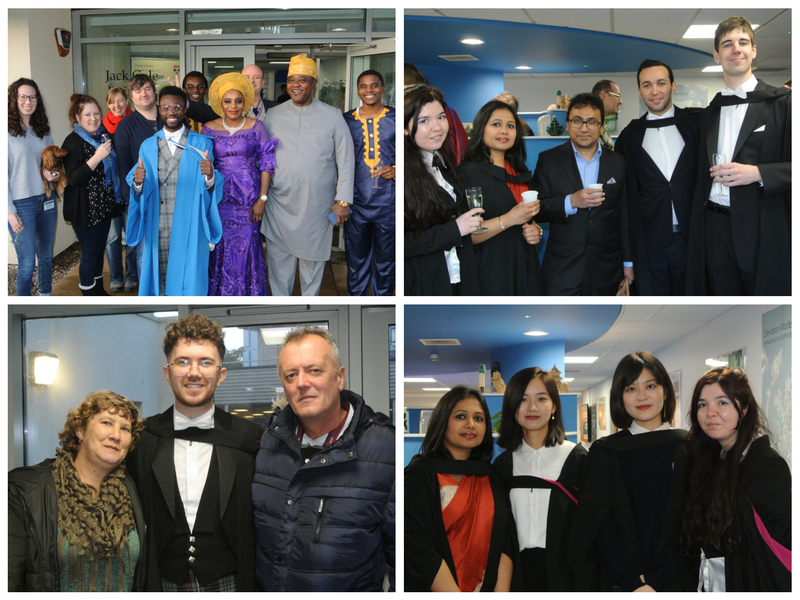 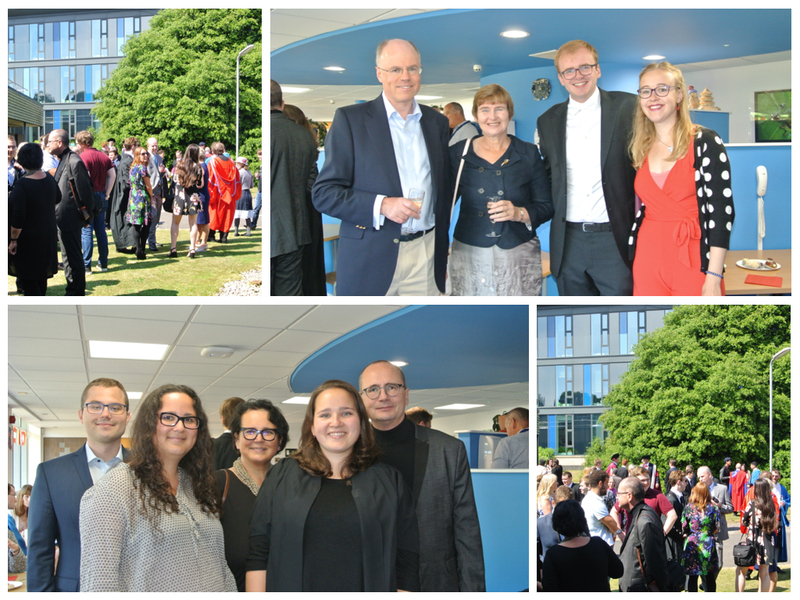 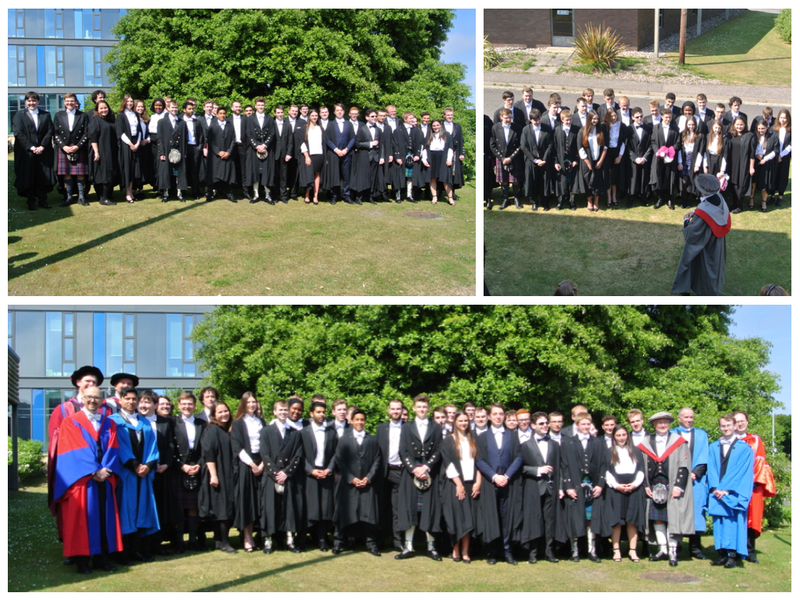 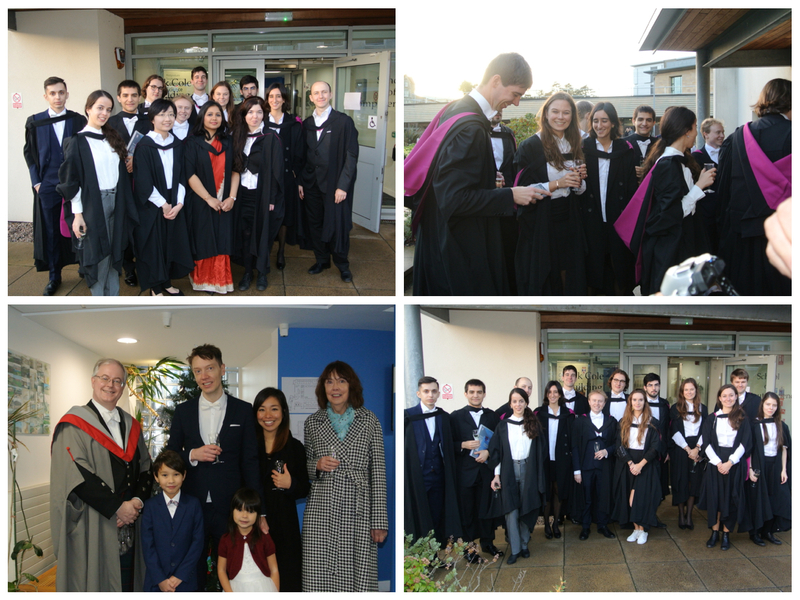 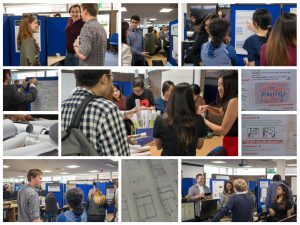 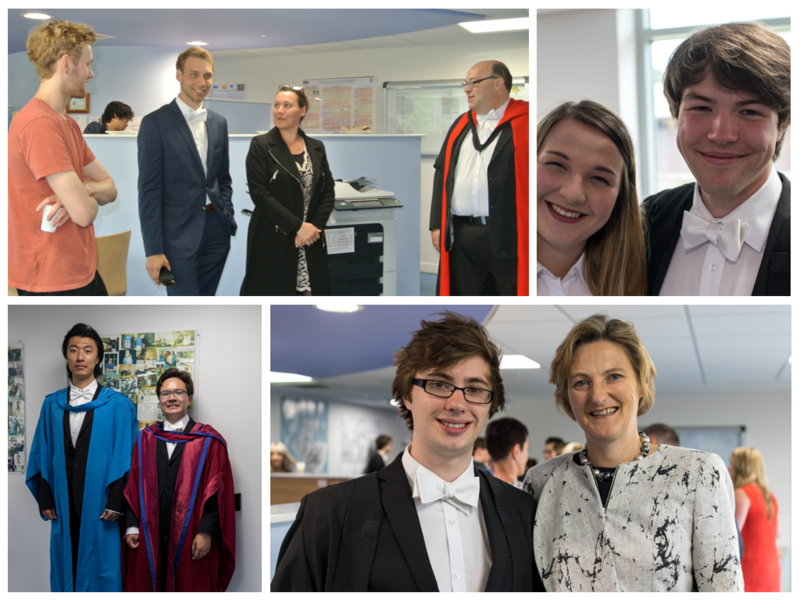 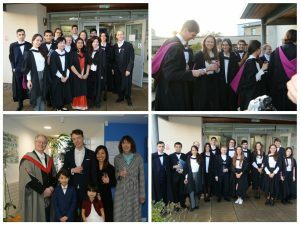 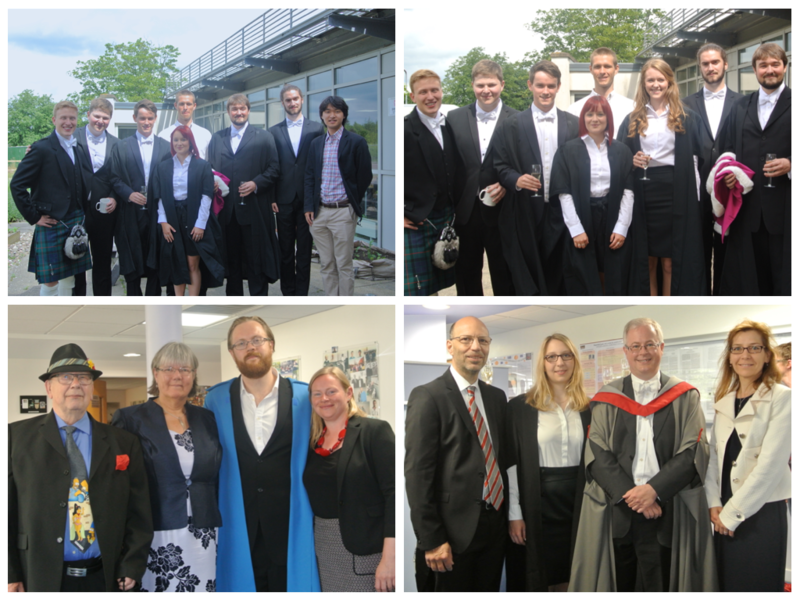 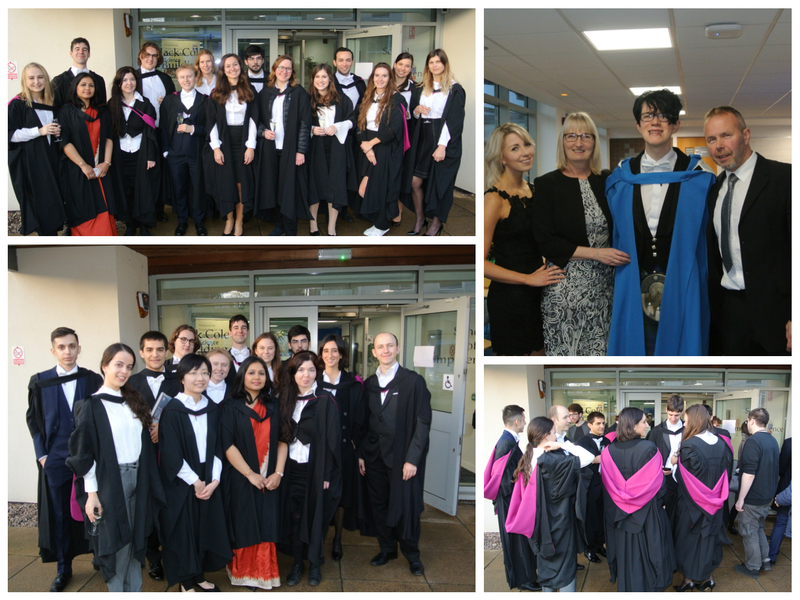 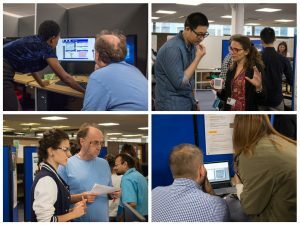 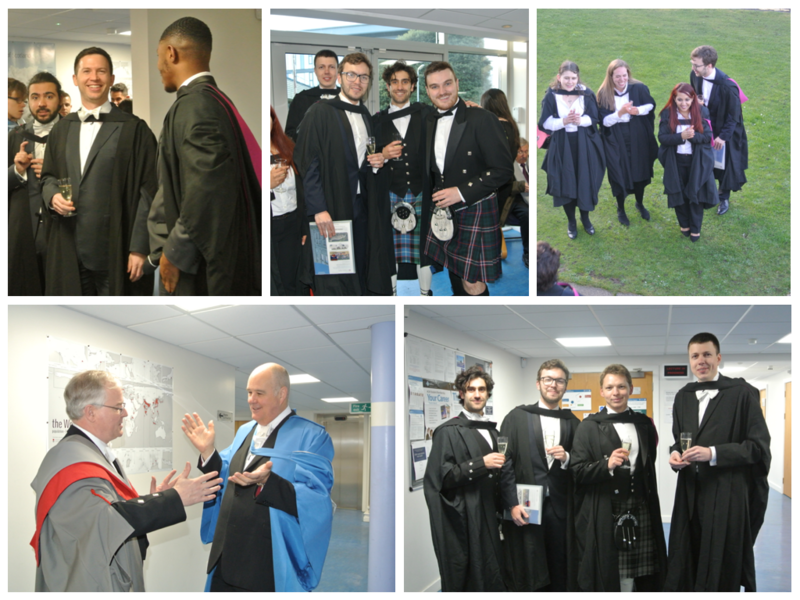 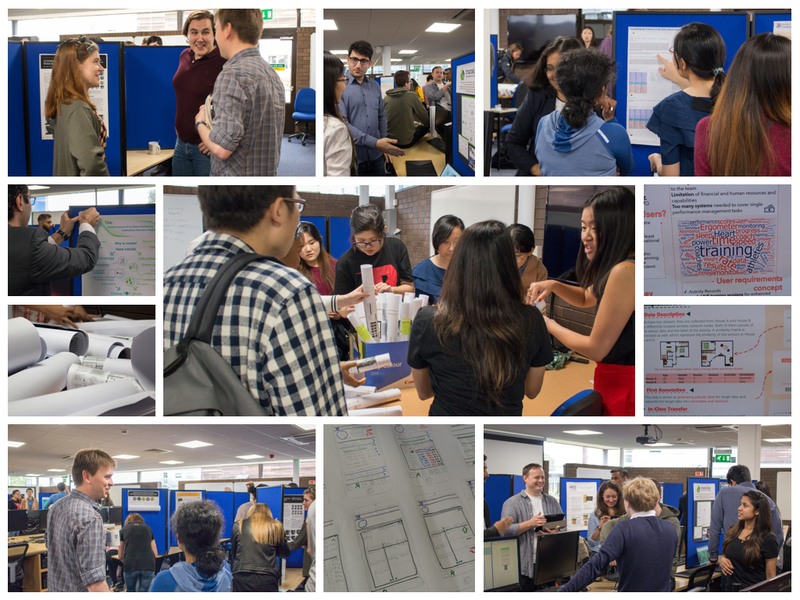 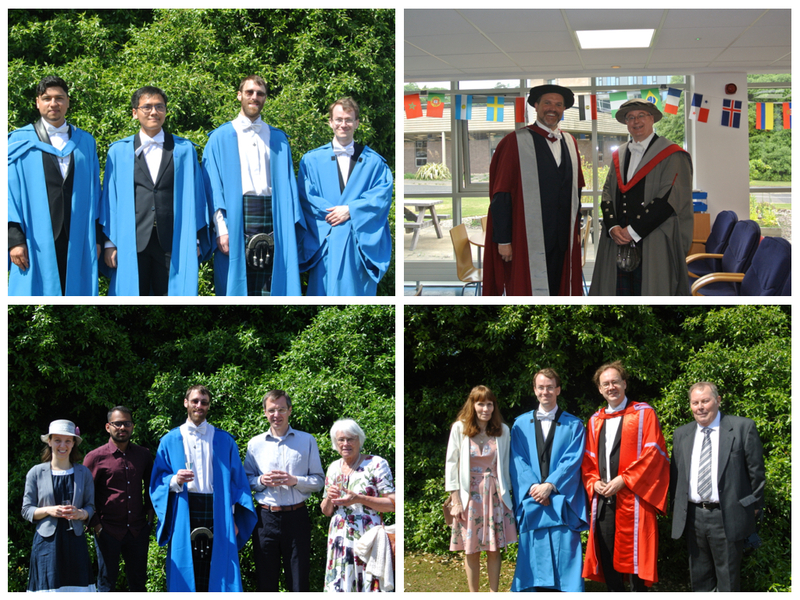 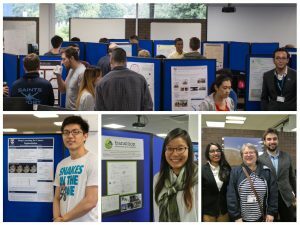 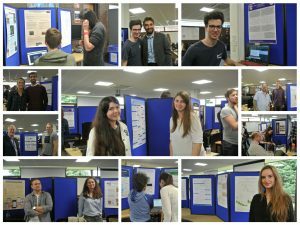 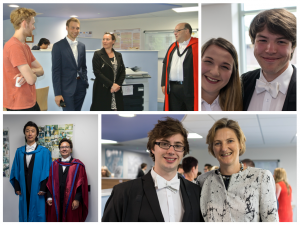 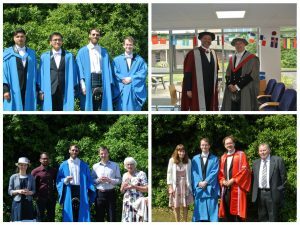 The School will celebrate more student successes and accomplishments next week, when our recent MSc and PhD students graduate. 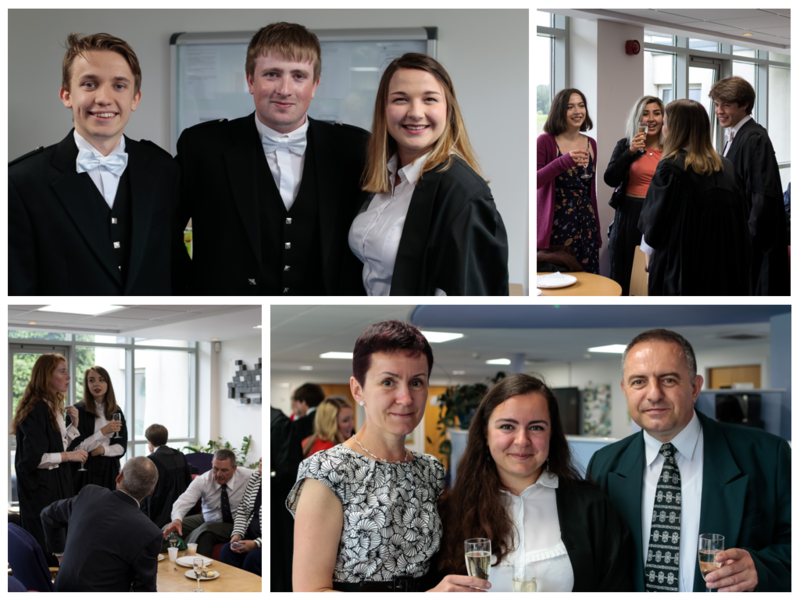 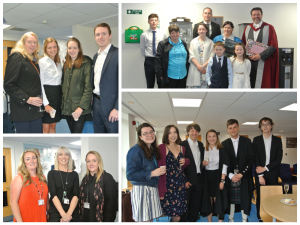 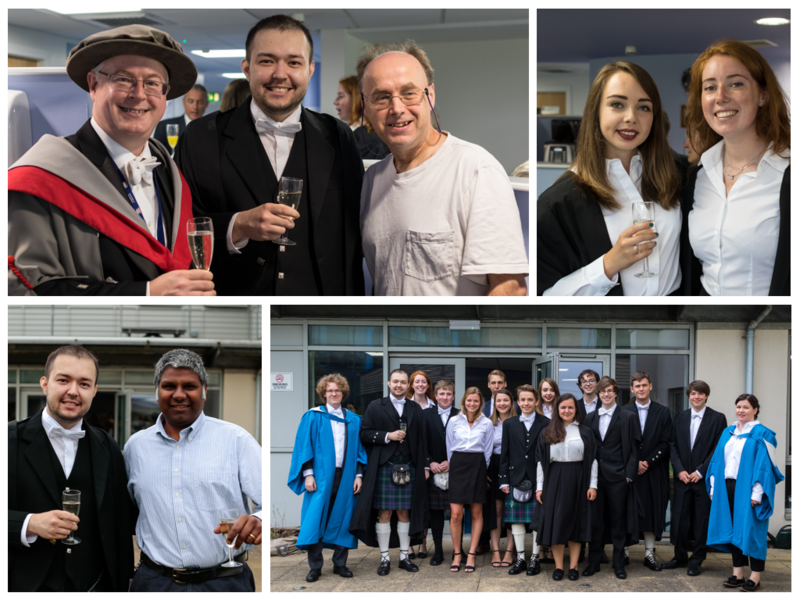 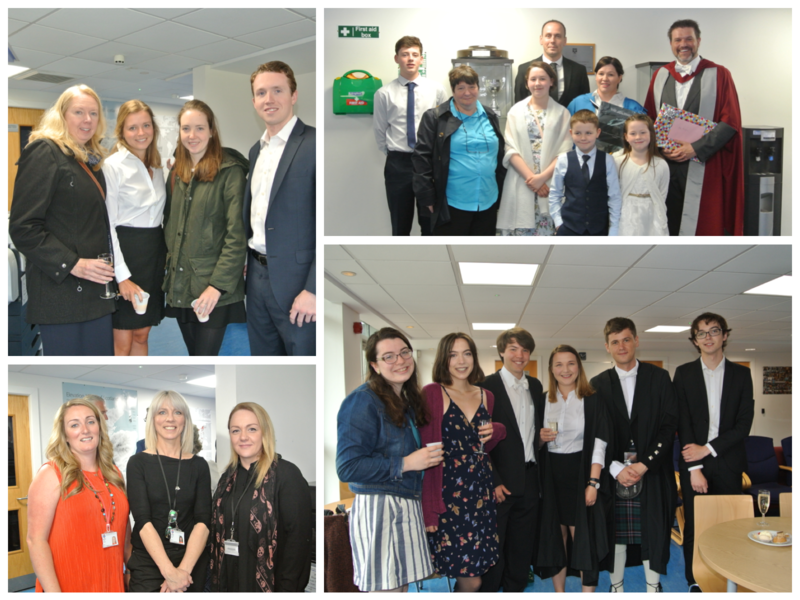 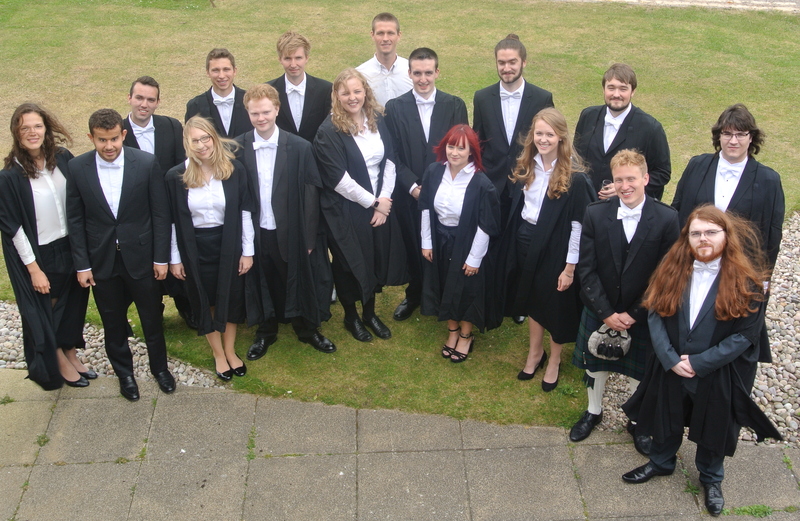 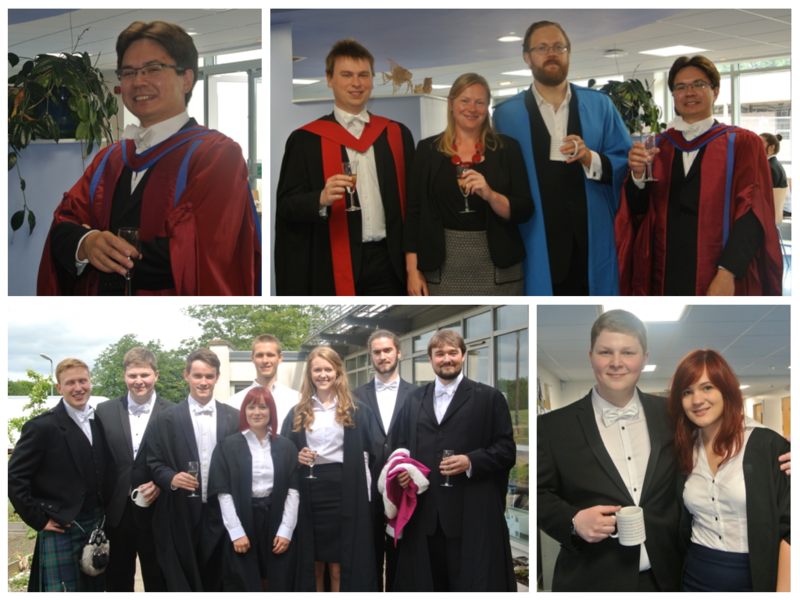 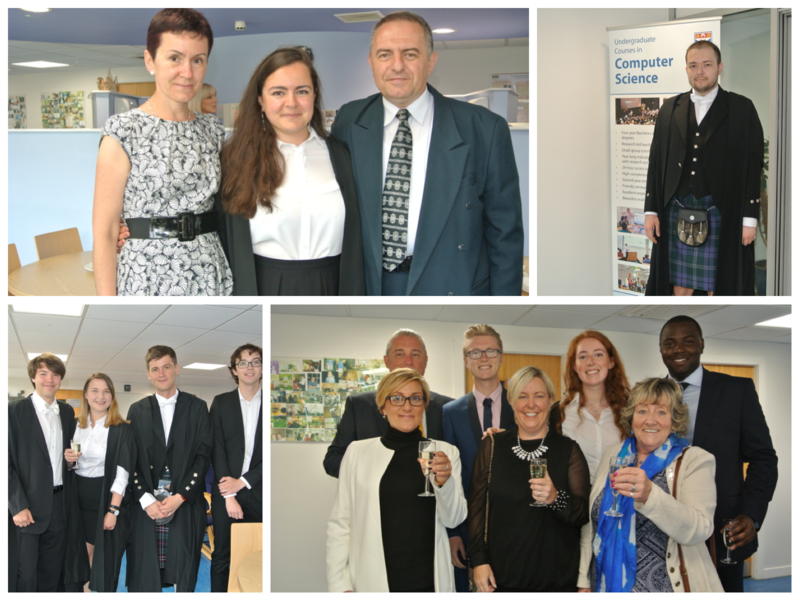 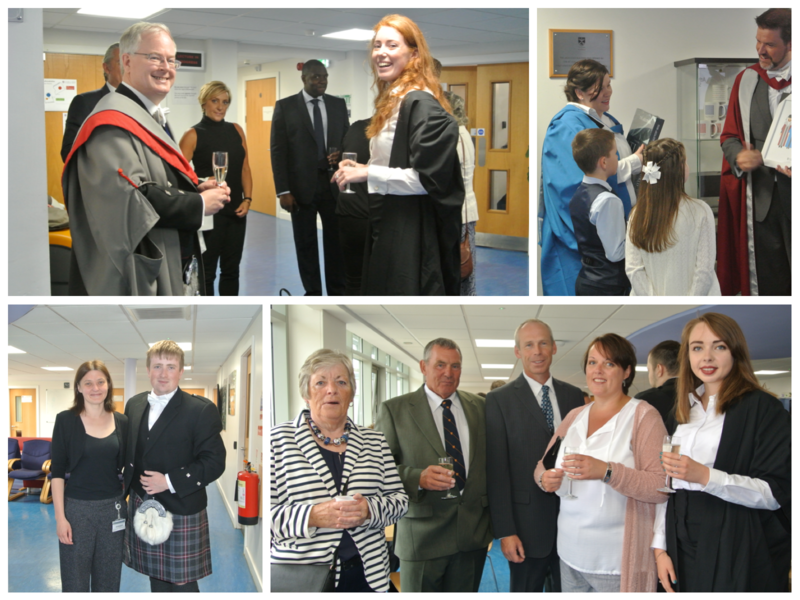 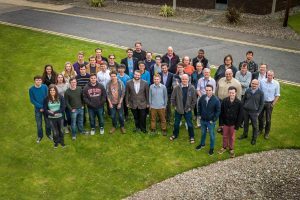 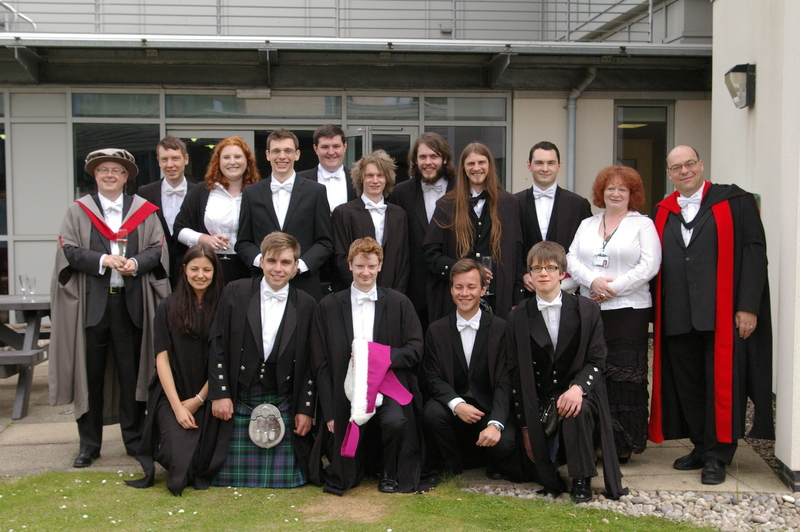 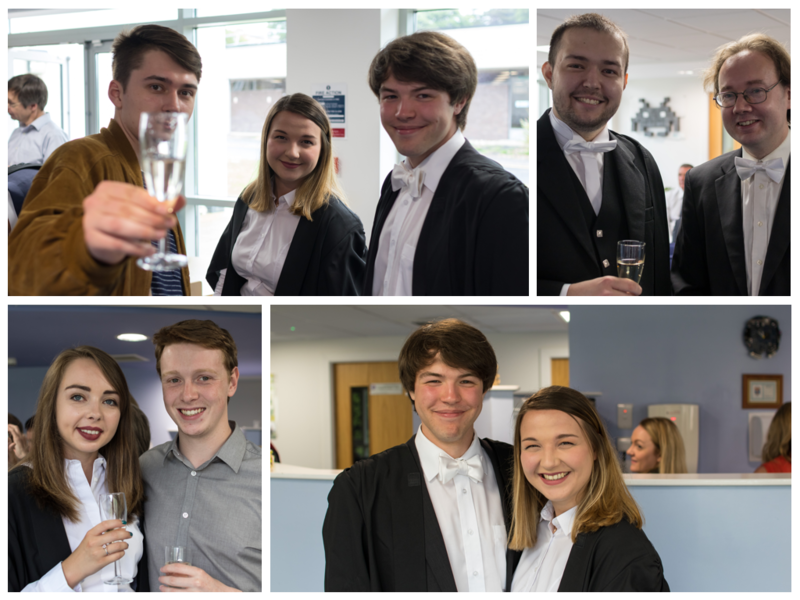 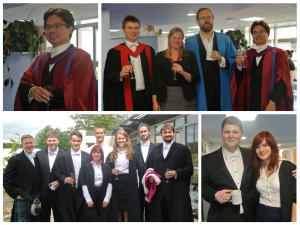 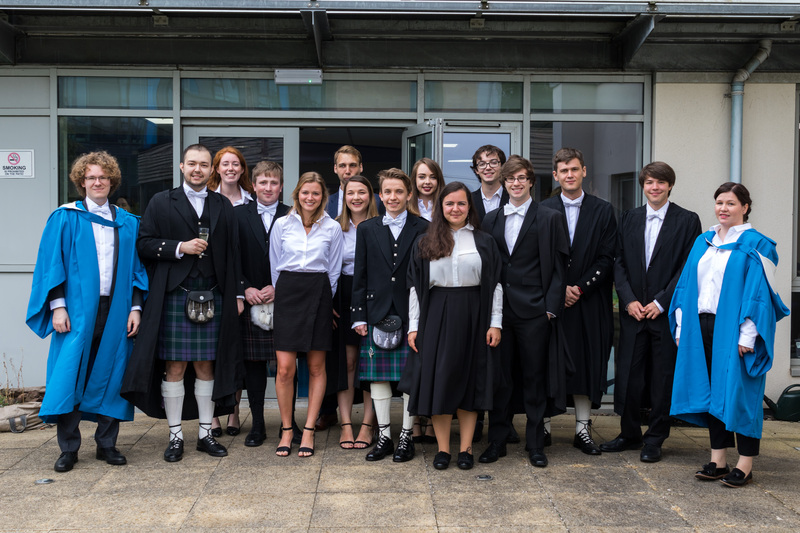 We look forward to toasting their success at our graduation reception in the School of Computer Science, next Thursday afternoon, between 12 and 3.30. 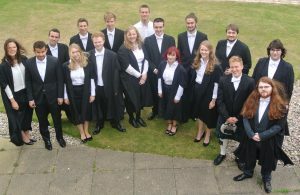 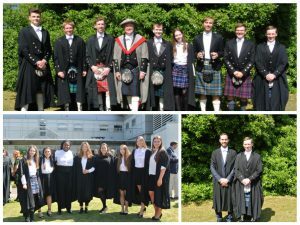 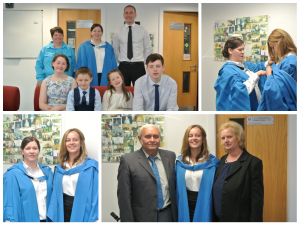 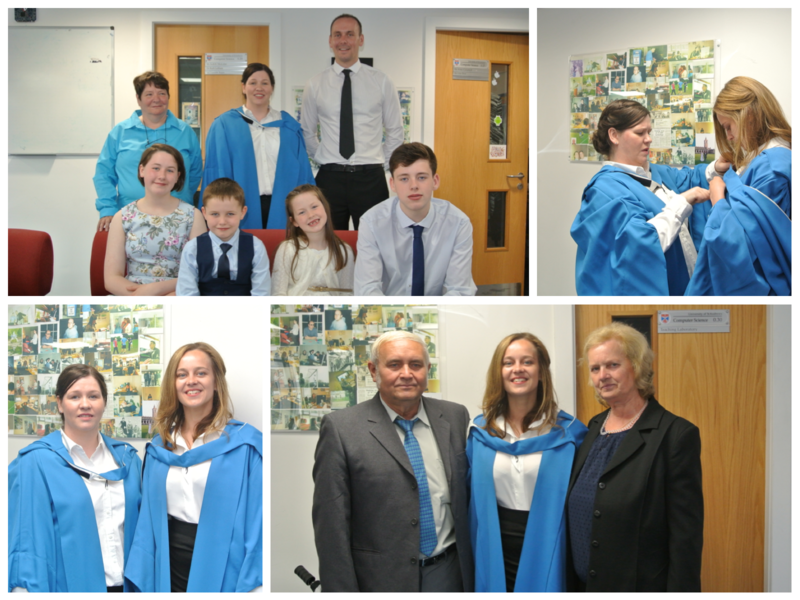 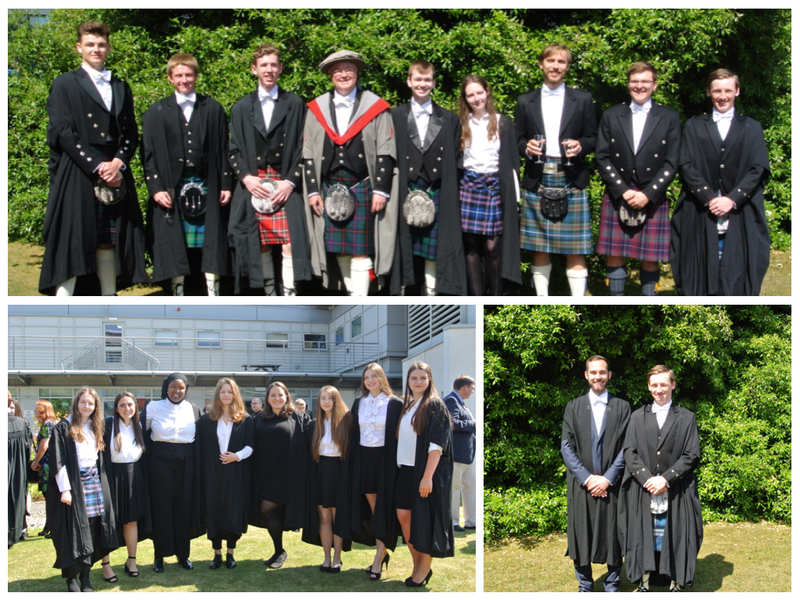 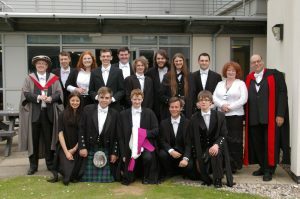 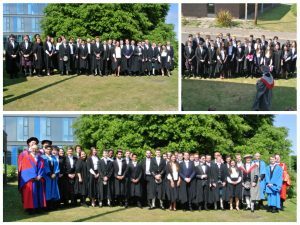 Over the years graduation has involved cakes, fizz, laughter, changeable weather and lots of reminiscing as pictured below. 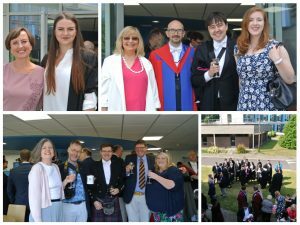 For family and friends who can’t make it to graduation ceremonies, the University broadcasts each graduation ceremony live. 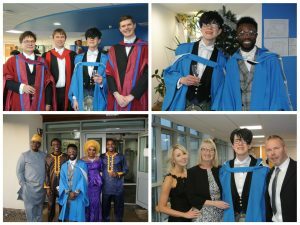 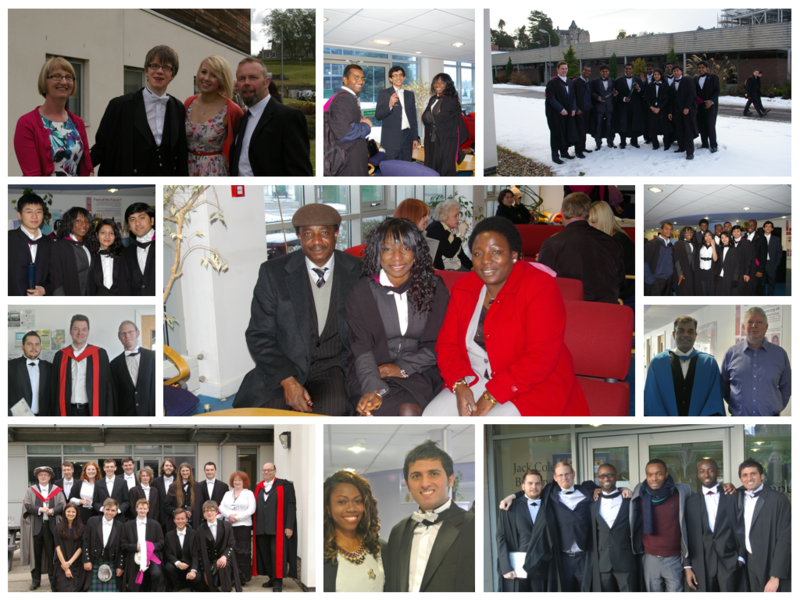 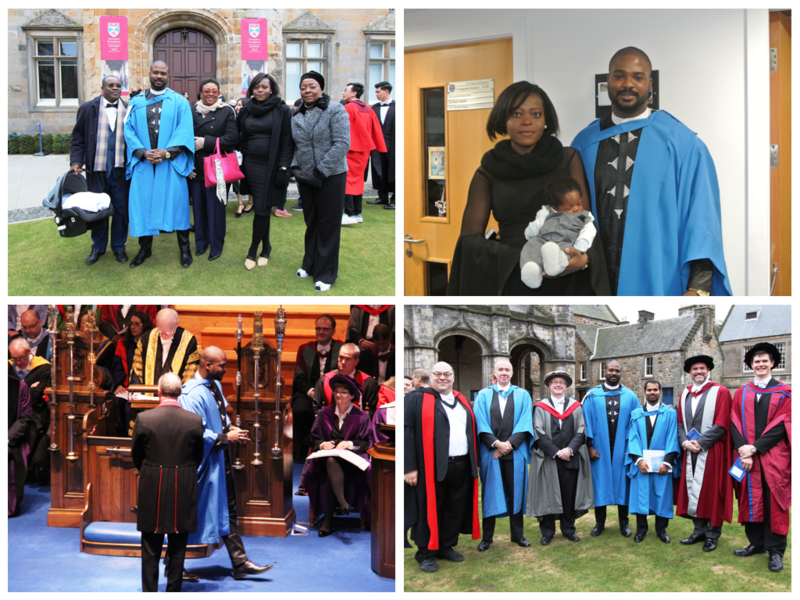 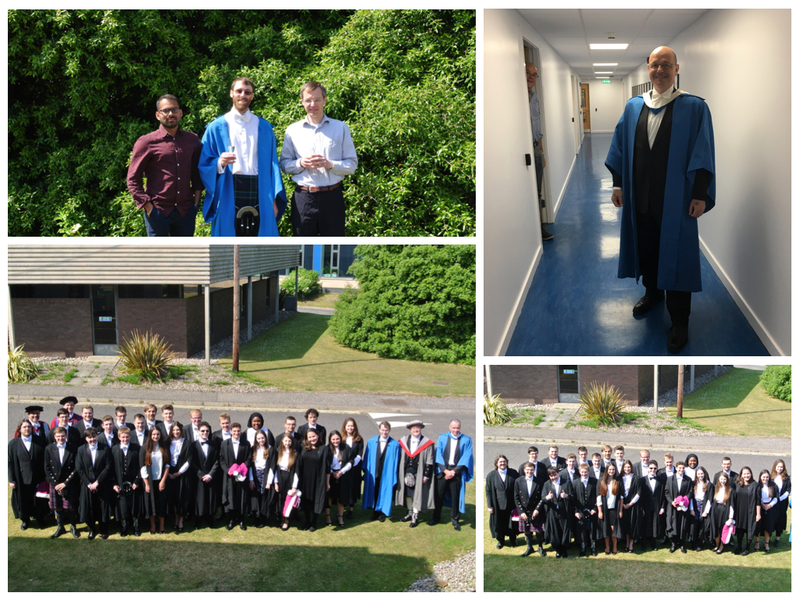 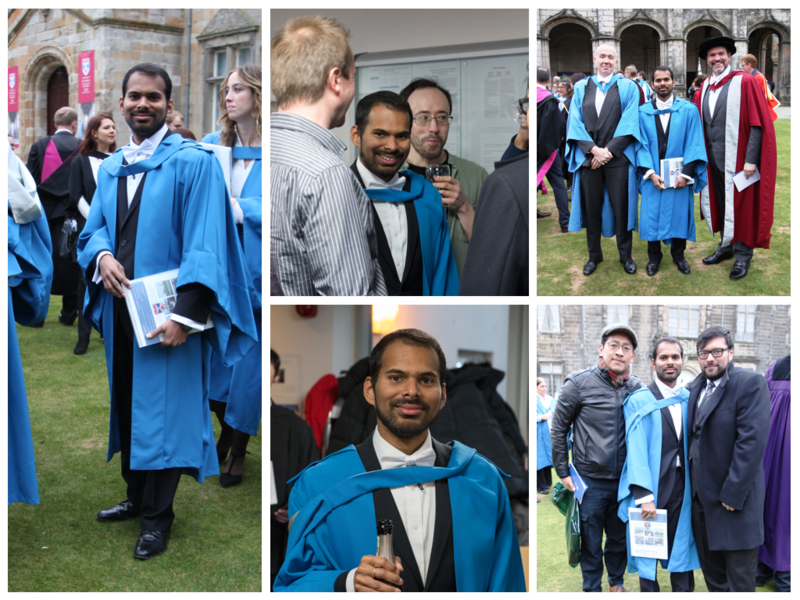 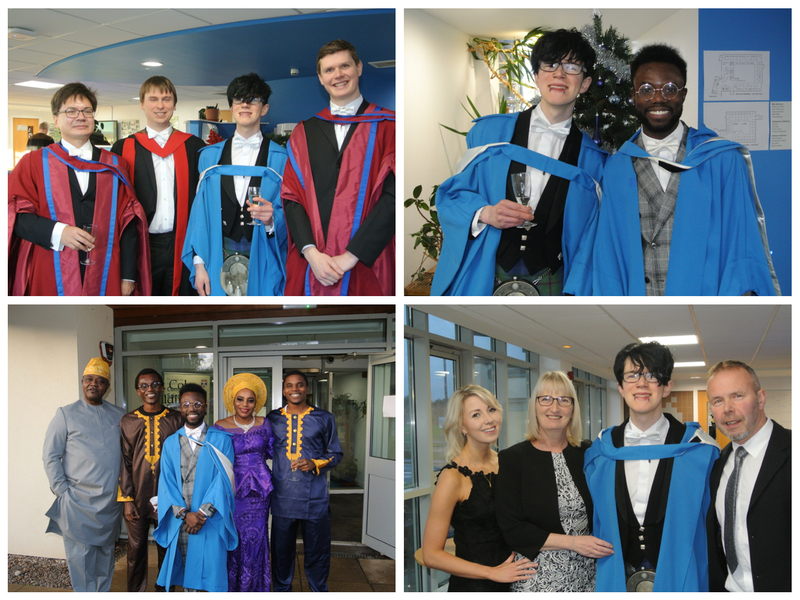 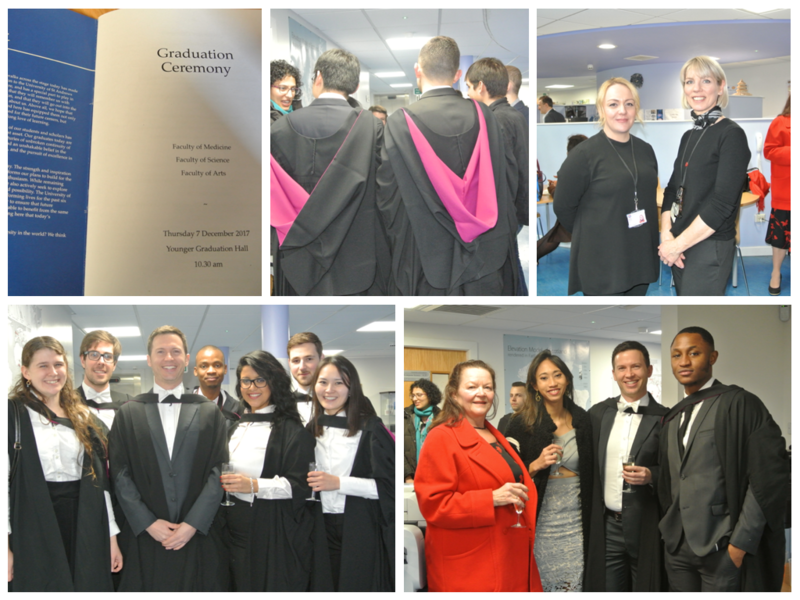 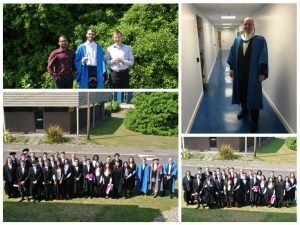 Congratulations to the Masters Class of 2016, and PhD students Dr Vinodh Sampath and Dr Oche Ejembi, who graduated last month. 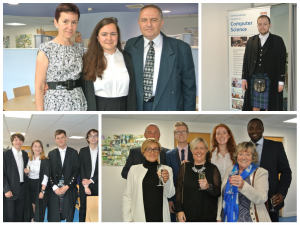 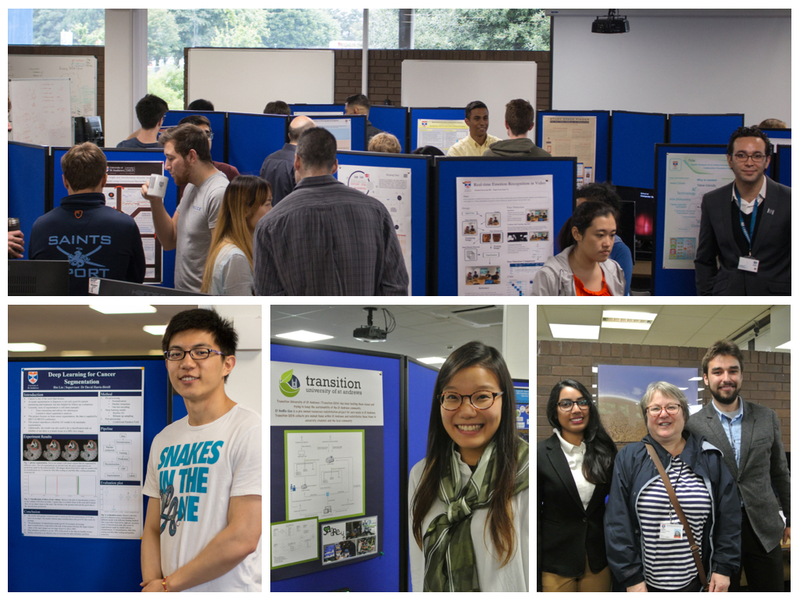 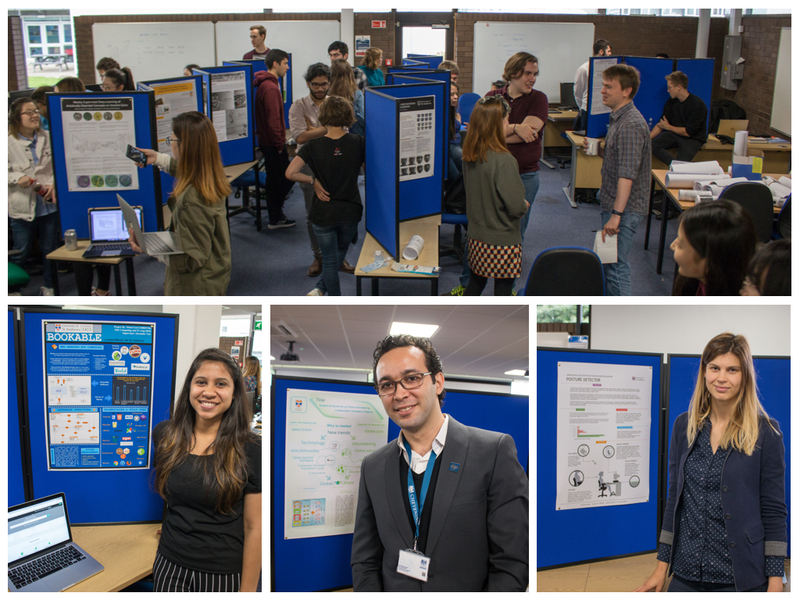 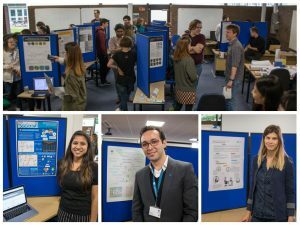 Each year, students are invited to a reception in Computer Science to celebrate their achievement and reflect on their time in the School, with staff and guests. 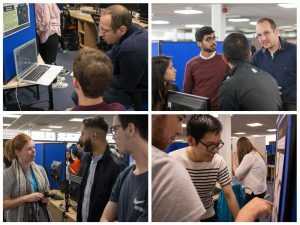 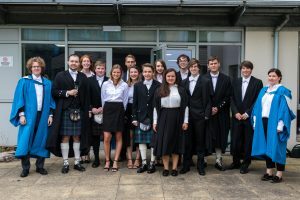 Our graduates have moved on to a wide variety of interesting and challenging employment and further study opportunities, and we wish them all well with their future careers.